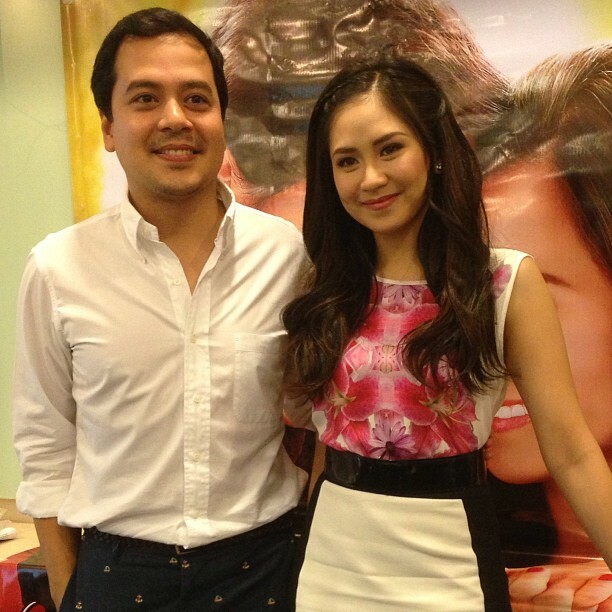 Will Sarah Geronimo and John Lloyd Cruz surpass their first two records in "It Takes a Man and a Woman?" The much awaited big screen reunion of box-office royalties Sarah Geronimo and John Lloyd Cruz is all set on March 30 (Saturday) via the third installment of their hit romantic-comedy movie series "It Takes A Man And A Woman." It's pretty obvious why Star Cinema find it so hard and took years for the third installment and the last in this romantic love story. It's really hard to do the conclusion of the story. The first two movies are both equally grandiose with surprises and kilig factor. We all witnessed that the chemistry of Sarah and John Lloyd is remarkable, although they haven't had any special relationship off camera and people knew their love stories with other celebrities, everybody tends to follow and accept them as couple on big screen. The story continues from 'a very special love' that both 'changed their lives,' Laida and Miggy will start to deal with their new selves in the same old company where their feelings started to blossom. The ex-sweethearts were transformed by the deeper emotional journeys that they both went through-from the simple and obedient executive assistant, the film reveals the braver, fiercer and career-oriented Laida; while the naughty bachelor Miggy will be seen now on a new phase in his life. Anyways, I created a list 'Why people should watch "It Takes a Man and a Woman"' below. Why do people need to watch this movie? It's the first Filipino romantic movie with a trilogy format. The first movie "A Very Special Love" broke records with Php179.25 million and became the highest-grossing Filipino movie off all time on that year (2008); the second installment broke the first record with Php 225.21 million gross. The two are now placed as Top 6 and 5 in the list of all-time highest-grossing local films to date respectively. John Lloyd and Sarah are both individual artists (not just as loveteam) with very huge following. It's directed by box-office director Cathy Garcia-Molina. This is the conclusion of the trilogy. If you liked the first and second one, you'll surely love to see the conclusion. ABS-CBN will air "A Very Special Love" and "You Changed my Life" this Holy Week so that those who haven't seen yet the movie will at least know the movie about. This is not an indie movie but it speaks quality. I have a strong faith that this will prove that not all 'rom-com' movies (genre) are the 'so-so' movies. "The feeling that your heart was﻿ also smiling when you are watching this trailer"